A part of the vision for Mastery of Meditation & Yoga, is to make available to you the entire science of yoga and meditation, from top to bottom (for free of course :-). For yoga, this means to first put together the building blocks for yoga practice, which are the yoga poses and kundalini yoga exercises. These are now available online via the Free Hatha Yoga Poses Galleries and the Free Illustration Kundalini Yoga Exercises E-book. Although there is more work to be done in completing these online resources, they are now quite mature and so can provide the foundation for bringing you useful, integrated and complete yoga sets and kundalini yoga kriyas. These integrated sets then help form more Free Online Yoga Classes, which further integrate meditation and pranayama, to help you work on different dimensions of your being. 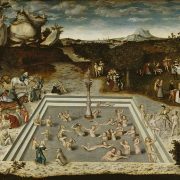 This article is an example of such an integrated yoga set and it details the wonderful set I call the Fountain of Youth Yoga Exercises. As the name of this set implies, it is a collection of yoga postures and movements that are excellent for preserving your youthful energy, health, body and vitality. Yogic science, regardless of the particular type of yoga, hatha or kundalini, all hail the exercises in this set to be instrumental in extending life and bestowing longevity. According to yoga philosophy, long life is worth seeking as it lets you maximize the opportunity to express your True Nature and increases the possibility of enlightenment. In addition, I also think we collectively agree, that not just are we striving for a long life, but we are in fact hoping for a long healthy life. To that end, the Fountain of Youth Yoga Set can be your most useful ally. Each yoga posture or exercise below is linked to it’s individual chapter in one of the two free online books I mentioned above. You should visit each exercise to learn all the details for it. Below though I will provide highlights of the benefits that this set bestows. 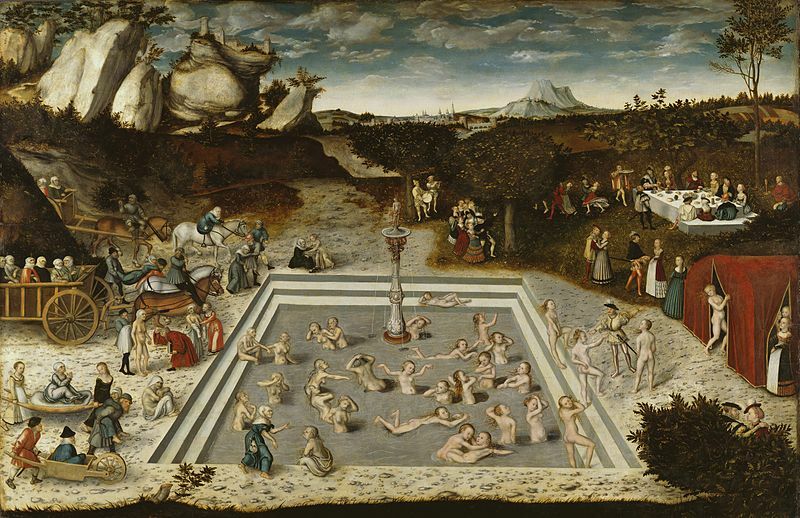 Eternal Youth: Each exercise and the set as a whole is designed to a promote long, health, happy life. It is never too late to start. Optimizes Health & Healing: The yoga techniques employed by this set are the very best for promoting spontaneous healing and long-term health. Improves Key Internal Systems: The yoga exercises in this set, really improve your digestive, respiratory, nervous and immune systems to help optimize health and wellbeing. Overall Flexibility & Strength: The design of the set is to promote flexibility of the key areas of the body and help keep the major muscles ground toned and strong. Remember the golden rule is please do not overdo anything. Use modifications for the exercises and back off if you feel uncomfortable or dizzy. Each exercise title is a link to the chapter with the details for that exercise. Any specific requirements or modifications for the Fountain of Youth Yoga set are given below. 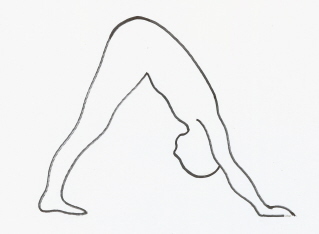 In addition an illustration for each yoga exercise is also provided. You will also need to learn the Breath of Fire breathing exercise, which is taught in the following video article: Breath of Fire Kundalini Yoga Pranayama. Breath: Here you have some nice options to try. All these breath variations are good and I suggest you try or change it up from time to time to keep the mind and exercise fresh. Long Deep Breathing w/ Visualization: Do long deep breathing. As you inhale visualize energy entering from the soles of your feed and making it’s way to the base of your spine. As you exhale visualize this energy moving up the center of your spine, starting from the base and moving through the crown of your head. Your may visualize the energy as white light if you like. Rapid Yogic Breathing: You can also do rapid yogic breathing. Breathing fast and full. Inhaling completely and exhaling completely with every breath. This is a little advanced, so back off it you start to feel dizzy or uncomfortable, and develop your capacity slowly over time. Breath of Fire: Of course you can also do it with Breath of Fire and not go wrong :-D.
This is the king kong yoga exercise to promote longevity and youth. Along with the forward bending asana above, they are the most key exercises of this set. If possible, try to work your way up to the advanced version of this exercise, which is to rock back and forth in bow pose. 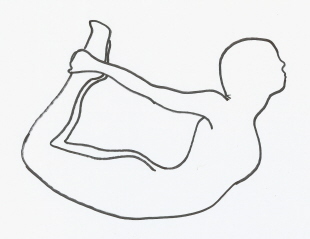 Breath: Do long deep breathing if you are just holding bow pose, or any variation of bow pose. If you are doing the advanced version, inhale as you rock forward and exhale as you rock back. Breath: Do Breath of Fire or Long Deep Breathing. Consciously put yourself under stress as you do this amazing yoga technique. For the slightly more advanced yogi, do Boat Pose instead. The chapter for boat pose will be online soon, but you can see it being demonstrated in the Video for Core Abdominal Power, from the Free Online Yoga Video series. 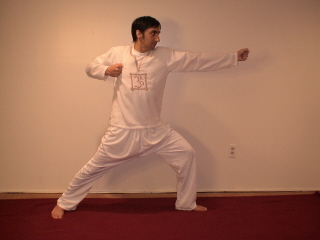 Others can do Stretch Pose as illustrated below. The timings and duration apply to either pose you choose to do. Once you are done with the Fountain of Youth set, make sure you relax on your back in corpse pose. 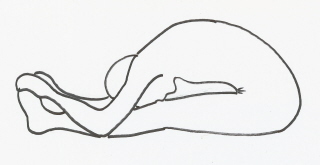 For corpse pose just lie comfortably on your back and have your hands out to the sides or on your chest. Just let go during this time and let the Universe take care of you. Have no worries, anxieties or goals, and simply surrender to Infinity. The Fountain of Youth Yoga Exercise Set is chapter 7 of the Free Online Kundalini Yoga Kriyas E-book. You may wish to check out that book for more free kundalini yoga sets and kriyas. If you have enjoyed this article and found it beneficial please consider Stumbling or Digging it by using the free buttons in the “Earn Good Karma” section below :-D. Thanks. I love the exercises, but why isn’t there any picture of the last exercise ‘7. Corpse Pose’? Is it just laying down on the back and relaxing? Hi I’ve just started working with this set. The previous sets i used to do were the sexual health set and the chakra healing. To be honest i recommend anyone to come here and follow your instructions. This site has helped me alot and i thank you for such an effort. Glad to hear you are enjoying the yoga and meditation videos. For headaches, try Sheetali Pranayama & Anuloma Viloma Pranayama (aka: Chakra Balancing Pranayama). For back issues, make sure you are gentle in your approach. Try the Spinal Warm-up Series. Just search for the above in the search box for the website on the upper right sidebar. Your videos are of great help to me .Thanks so much.Is there any exercise for headaches and spondolysis? Glad you are enjoying the website and thanks for the stumble. I really do appreciate your feedback. It does help me understand if the online readers are able to follow the yoga instruction. Thanks a lot for taking the time out to comment. Thanks for the great resource. I love the “Free Online Illustrated Kundalini Yoga Poses & Exercises E-Book”. The illustrations and descriptions were very easy to follow. Your thumb’s up is a biggie. Thanks much. Great to hear you are enjoying and benefiting from the website. Such feedback keeps me inspired :-D.
To develop breath retention, I suggest the following 2 step strategy. 1. 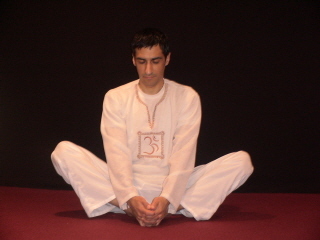 Develop breath capacity by doing pranayams, specifically 4 Part Deep Breathing. 2. Develop ability to hold breath slowly by practicing the following meditation. Slow and steady is the key here. Energy & Prosperity Meditation (the key is the stomach pumping w/ breath held out – you can simply have the hands resting on your knees while doing this part if you prefer also). From being a sedentary being, I now walk 5kms 4 days a week and do 4 yoga sessions per week. This strengthening of the will I think is what I have always needed. In addition to this I find early waking makes a huge difference to how the rest of the day fares. I wanted to question you about breathing because I have become aware that my inhalation is no problem, my exhalation is half of the inhalation and I cannot retain breath for more than 5 counts. It is almost as if I panic. What would you suggest in a case like this? This site has been such a gift in my life. That awareness breathing you suggested a few weeks ago is wonderful. Not a kriya just a tool for stilling the mind. Breath in 1,2,3 breath out 5,6, and missing 4 is the pause between. Some aspect of me really took this and several times a day I am suddenly aware of the breath and the count. Thanks. I thank you and the grace that led me to you. Not sure what issue you are having. Let me know some more details and will try to help out. I am unable to fill these columns. What r they indicat? I like this page a lot. It has helped me to start my day with a feeling of strenght and vigor. It is easy to follow and implement in my everyday routine. It is the best thing that has happened to me. Thanks to you. God bless you.